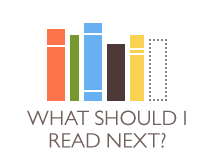 Keep track of the books you've read; rate them, review them, and get recommendations. Follow us! Want to know what else your favorite author wrote? Or what the next book in that series is? Find it here. Have a collection of your own? Keep track of up to 100 of your books for free here on LibraryThing. A tourist map of literature. Find authors similar to those you love, and many more. Absolutely love that certain author? Want something similar? Type their name into this website and see what comes up.